Career Change Assessment - Finding the Answer to Who Am I? 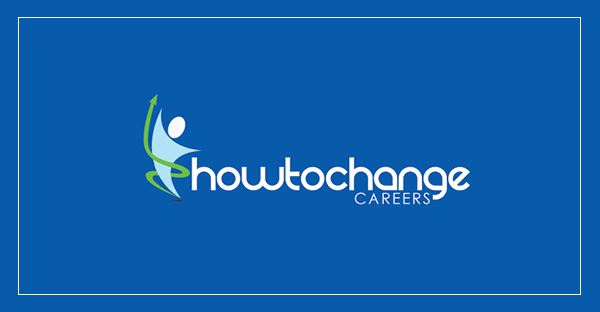 If you have a greater awareness of yourself, considering your career change options becomes much easier. You can look at jobs, careers and work opportunities and work out if they match your own personal profile. So what do you need to explore? There are five key areas you should investigate as part of your career change plan. The self awareness exercises linked to each of these will help you. A skill check exercise is a great place to start. What are you good at? What skills have you developed at work? Which skills do you particularly enjoy using? This is not always an easy task – many people undervalue the skills they have gathered over the years. But if you want to feel confident that you and your new career will make a good match, then awareness of your skills is essential. Try these skills assessment exercises to get you started. Or you might prefer to start by just looking through a list of personal skills to give you some ideas. Finally, take a look at this article which gives you 3 ways of reviewing your skills. Do you know what kind of person you are? How may this affect the kind of work you will enjoy? This is an aspect of career change research that is often overlooked. Understanding yourself is a vital element of the process when working through any career change assessment. There are many ways you can assess your career personality. You will find personality tests on line and commercial packages such as OPQ, the Occupational Personality Questionnaire can give you some useful information – at a price. The personality test on this site is simpler and will give you a free insight into how your personality and work can be connected. Knowing what you are really interested in is another great career change assessment exercise. When you are doing something you feel passionate about, you lose yourself, you are totally motivated, and often do it very well. Exploring your interests – both inside work and out – will help you get clear about what you’re passionate about. Try this exercise to get you thinking about your interests. What is really important to you? What do you really want to achieve in your life? If that sounds a bit grand, don’t be put off. What matters here is what is important to you – not to other people, society or the world in general! It is surprising how few people stop to think about their personal core values. So if you are unaware of what really drives you – you are in good company! But when your core values are not being met, you are often left feeling unfulfilled in your work or life, and you may not initially be able to pin down what is wrong. So take the time now to consciously assess your values with these core values exercises. Or you might like to just scan a list of values to get you thinking. You will find that when you design your work and life on your core values, your motivation and sense of satisfaction will greatly increase and your chances of success and fulfilment will improve. What are your key achievements? Does the question make you cringe? Or do you look bashful and mumble that you’ve not done much really? A common challenge for career coaches is to get their clients to acknowledge and celebrate what they have done – and done well. If you fail to take pride in your achievements this may leave you with a skewed view of yourself and your potential. The exercises on achievements are designed to help you take stock and appreciate yourself more. This starts with things that you are proud of at work, but his is not the only thing that is worth looking at. Take a step further back and consider anything you feel proud of from any part of your life. What you choose to do in your own time can give you an indication of where your heart really lies and may be a pointer for a new career idea for you to explore. So these five areas are the steps in the next stage of your career planning for the future. Try out the career change assessment exercises and explore the question ‘who am I?’. It will give you a wealth of information to help you build your dream career on solid foundations. If you’re looking to make a career change, it is essential to carry out a personal skills audit. Nobody knows you better than you, but evaluating your skills before making any decisions makes a lot of sense. Try these exercises to help you do just that. How to do your Career Self-Assessment? Try this career self-assessment study developed by Marianne Craig; a famous career coach. It’s a great way of working out how you can bring different career themes into your life. Looking For New Career Ideas? Join our mailing list to receive our personalised monthly newsletter jam packed with information to help you with your career change.